Sophie Anita Treadwell was born in Stockton, California, on October 3, 1885. Her father walked out on the family home while Treadwell was a young child and she moved with her mother to San Francisco in 1902. Her father, Albert, was never a wholly absent force and Treadwell gravitated towards interests similar to his: languages, journalism and theatre. Her relationship with her mother, Nettie, was strained at best. Although she initially had her sights set on acting, it was after graduating from the University of California and working as a reporter that Treadwell's sense of justice, of silenced voices and of the dramatic forces in everyday life came to the fore. Often inspired by the inequity experienced by 'ordinary' women in extraordinary situations, Treadwell was an activist of sorts. Working at The Bulletinin San Francisco in 1908, she reported on everything from baseball games through to issues of homelessness and prostitution. In one of her most famous assignments, she went undercover as a young homeless prostitute to expose the lack of financial assistance available to unemployed, unmarried young women. This established Treadwell as a female writer who was prepared to push the boundaries. In 1910, she married a fellow journalist, William McGeehan, but maintained her independence on many fronts, including continuing her career beyond marriage. The same year, she also experienced a nervous breakdown and spent time in a sanitarium. She went on to report on the First World War from France and, in 1921, was the only foreign journalist granted an interview with Francisco 'Pancho' Villa, general and celebrated hero of the Mexican Revolution, for the New York Herald Tribune. She marched with the suffragettes and explored themes of gender, oppression and ownership in her news reporting, her novels and her plays. 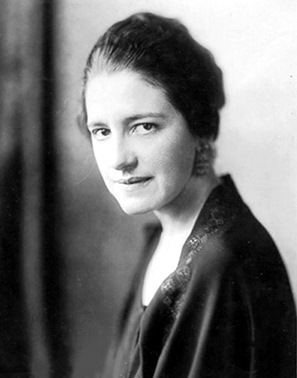 When her seminal play Machinal premiered on Broadway in 1928 with Clark Gable playing the male lead, her reputation as a successful playwright may have appeared sealed. However, she encountered ongoing criticism that often referenced her gender, as did other female writers of her era. The revival of this work reminds us how much may be different in the world, but also how little may have changed for women. Sophie Treadwell lived to be 84 years of age and died on 20 February, 1970. Machinal, 21 Nov - 7 Dec 2013, Wharf 2 Theatre.